At the 2017 Community Media Conference, NFCB presented the following awards at the conclusion of its annual community radio gathering. Takoma Park, Maryland’s WOWD-LP received the Golden Torchlight Award, which acknowledges remarkable community radio stations. The year-old low-power FM organization has shared its exceptional story of community engagement and programming at the LPFM Summit. The LPFM advocacy and action group Community Media Assistance Project was celebrated with the Media Citizenship Award. Leaders Betty McArdle and Michael Brown have for many years been committed to supporting low-power community radio launches and related endeavors. As CEO of the Association of Independents in Radio, Schardt has been a trailblazer on programming and creating opportunities for producers. 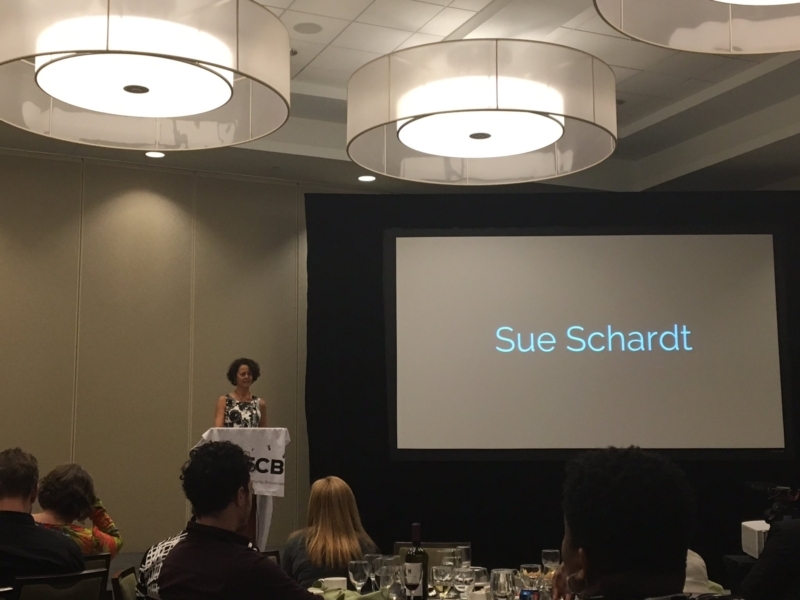 NFCB extends congratulations to this year’s award recipients.